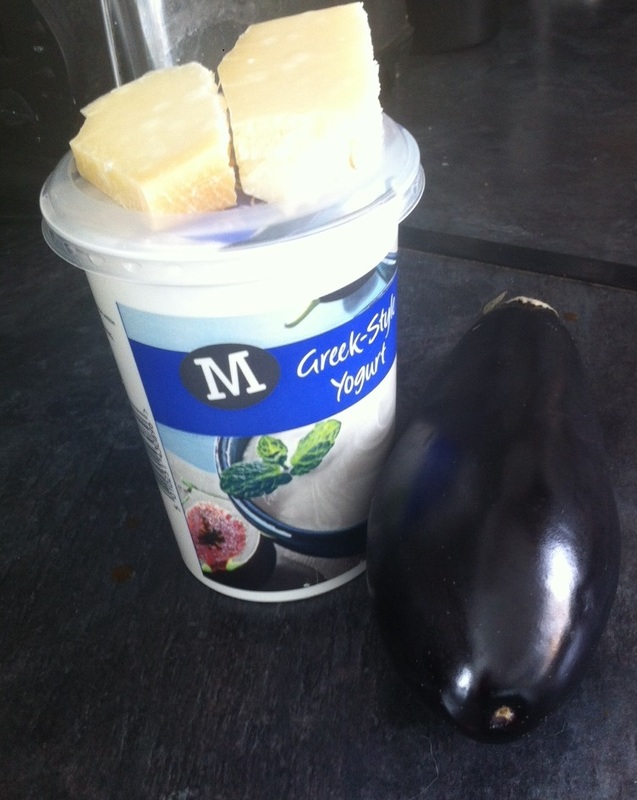 All you need (almost) for Greek moussaka. This week I had a large pot of Greek yoghurt seeking a happy culinary ending so I decided to make a moussaka. Lots of moussaka recipes use a béchamel sauce which obviously pushes up the carbohydrate content and make it unsuitable for coeliacs because of the flour in the sauce, and as I was going to be entertaining a coeliac then this version is ideal for the gluten-free AND the low-carber. I like mince done in the slow cooker as I think you get a concentrated flavour (and it’s easier), but I’ve also given you the conventional method for cooking the mince part. Place the mince, onion, garlic, tinned tomatoes, ground cinnamon, ground cumin, rosemary, tomato puree and 1tbsp olive oil in your slow cooker and mix very well. Top up with enough water to cover. Cook on slow for 6-7 hours, or high for 4 hours. Heat 1tbsp olive oil in a large sauce pan and brown the lamb mince, breaking up clumps with a wooden spoon as it cooks. (You might need to do this in two batches). Once the meat has browned and excess water boiled off (about 10 minutes, add the onions, garlic and herbs and cook, stirring, for another three or four minutes. Add the tomatoes and tomato puree, mix well and add in a little water – about 100-200mls. Bring to the boil. Cover, turn down to a simmer and cook for 30 minutes. You might need to take the lid off for the last few minutes to condense the sauce. You are looking for a thick, concentrated sauce. Meanwhile, cook the aubergine slices. Brush the slices with the remaining tbsp olive oil, sprinkle with a little salt and pepper and cook in a pre-heated oven (180 degrees C) for 15 minutes. Beat the two eggs and mix with the yoghurt. Using a large rectangular, oven-proof casserole dish, layer up the lamb, then aubergine slices, then lamb, a final layer of aubergine and top the lot with the egg/yoghurt mixture, and the grated cheese. Cook for 30 minutes in the pre-heated oven until the topping is golden-brown. This moussaka has approximately 20g of carbs per serving.